new generation of power bank that’s better by any measure. aluminum with the highest aluminum sands which you will find our power bank looks more exquisite and glitter than for Apple product, definitely eye-catching! Exclusive One Piece Design appealing to even Steve Jobs. No ON/OFF button, Charging will automatically start when connected. a remarkable, simplified design. No distinct edges, No gaps, just a smooth, seamless bond of metal that feels like one continuous surface. 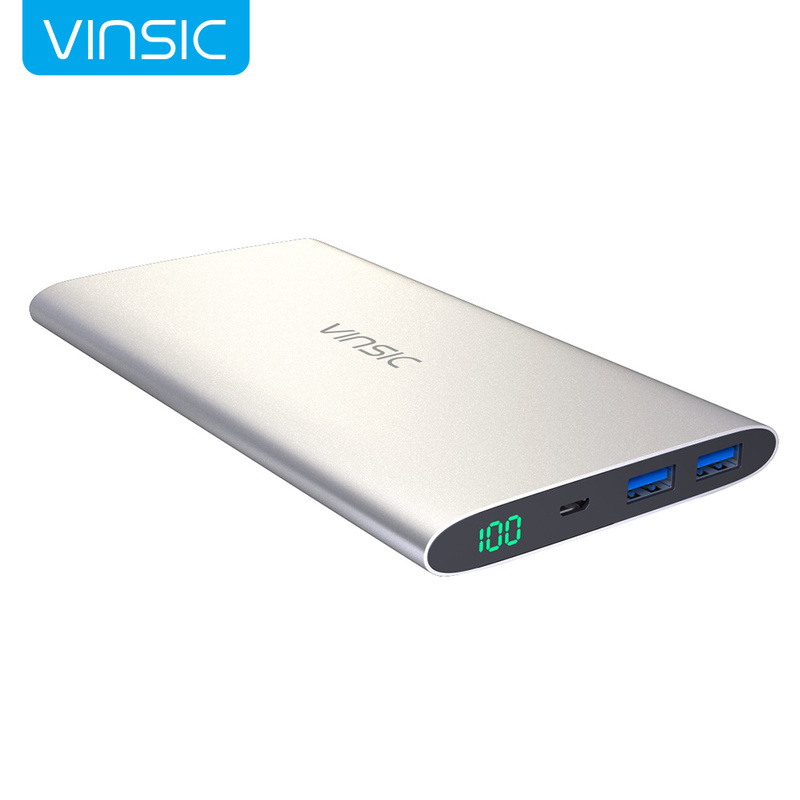 Vinsic power bank 12000mah comes with two USB ports 2.4A &2.4A which can be used to charge two devices simultaneously. Vinsic power bank 12000mAh uses Lithium-Polymer battery, I want to know what is difference with other power bank? Vinsic power bank 12000mah not only uses the Lithium-Polymer battery, but also chooses the best brand battery in order to make sure our customers’ 100% safety. Does your Vinsic 12000mah power bank have the real capacity? So 20000mAh Power bank, the total Number of Charger for iPhone 6 is 4 times. iPhone4S:1470mAh ,for iPhone5: 1440mAh,for iPhone5s: 1560mAh,for iPhone6: 1810mAh,for iPhone6 Plus:2915mAh.